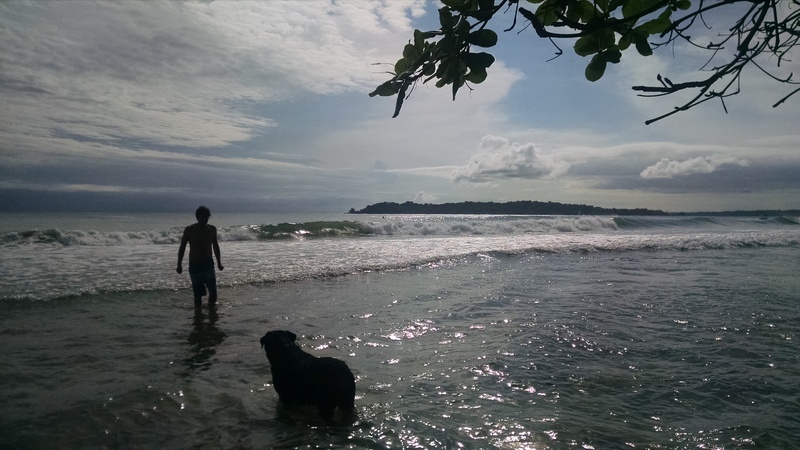 Located at Playa Paunch, one of the most popular surf breaks in Bocas. Just 15 minutes from Bocas Town on Isla Colon, here you can experience the best of Bocas!! Playa Paunch or Punch, depending on your native accent or what map you read is one of the more popular surf breaks in Bocas del Toro. Although best known for its surf, Playa Paunch is lovely in and of itself. Its white-sand beach is pleasant and surprisingly uncrowded, and its shoreline affords wonderful views of Isla Colón and Isla Carenero in the distance. It may be one of the island’s best and most convenient places to spend the day lounging in the sand or swimming in the sea. In the Paunch area (and beyond), you are away from the hustle and bustle of Bocas Town. Here you can see tons of wildlife on a daily basis – most of which you’d never see in town. Toucans, sloths, iguanas, and two species of monkeys (Howler and Capuchin). The area is excellent for bird watching and you can take a tour through the jungle if you want to become more familiar with the abundant plant life on this tropical island. Below is a video taken from our property showing the Howler Monkeys “hanging around” nearby! Still, most people come here to surf. The waves break both left and right and tend to vary in size, making it perfect for every skill level. The left is popular for it’s large barrels when the swell is big. The wave can get very powerful, hence the name – Punch! Be aware, though, that a coral reef lies just beneath the surface – surfers are advised to wear booties while shredding Paunch’s waves (or you can arrange for a water taxi or boat to take you out to the waves if you want to avoid the coral). Click here for the latest Paunch surf forecast! Content above courtesy of thepanamaportal.com and anywherepanama.com.